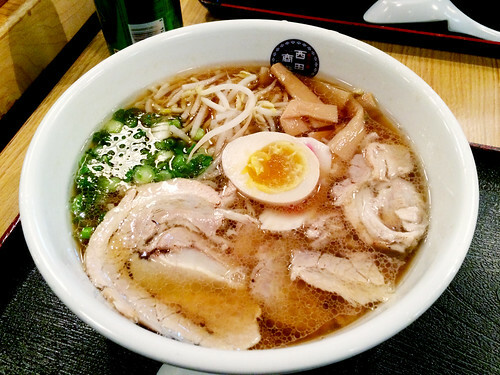 In brief: Probably every time we have ramen at the only ramen joint within a 10 block radius of the office, we bemoan the lack of noodle soups in the Flatiron District. Today was no different. It wouldn't have to be ramen, but what we wouldn't give for a bowl of pho or a good, piping hot bowl of egg noodle and roast pork. Don't think this will be the last time we whine about it now that winter has truly hit. At least Terakawa Ramen was less crowded than it normally is, though as hectic as always.